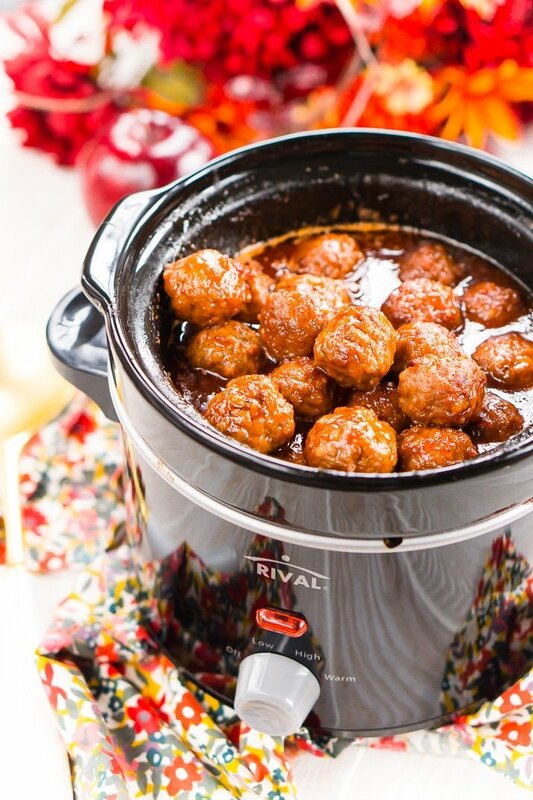 These Apple Cocktail Meatballs are an easy party food appetizer that’s made in the slow cooker and loaded with flavors that will tantalize your taste buds! 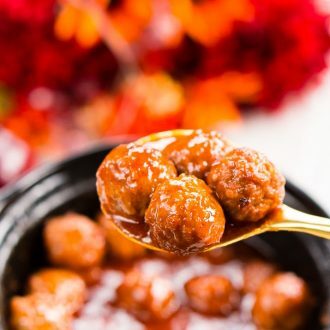 My mom used to make grape jelly meatballs all the time when I was a kid, it was her go-to appetizer for parties and the one that always got eaten up first. 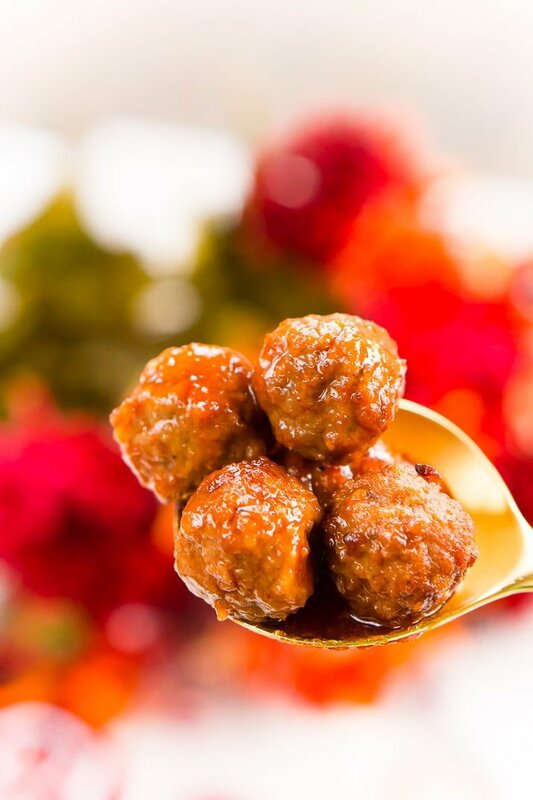 These Apple Cocktail Meatballs take the same concept of that classic recipe and add a seasonal twist your guests will go crazy over! I can’t believe we’re more than halfway through August, summer feels like it just flew by, more so than usual. And I can tell you that for once, I’m not sure I’m quite ready for “sweatah weathah” but I am ready for all the flavors it brings like apple and pumpkin and maple. 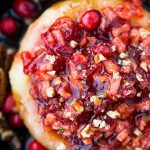 There’s just something about the cozy flavors of fall that I absolutely love (as long as I don’t think about what they do to my waistline) and I love coming up with new ways to use them beyond your traditional baked goods. 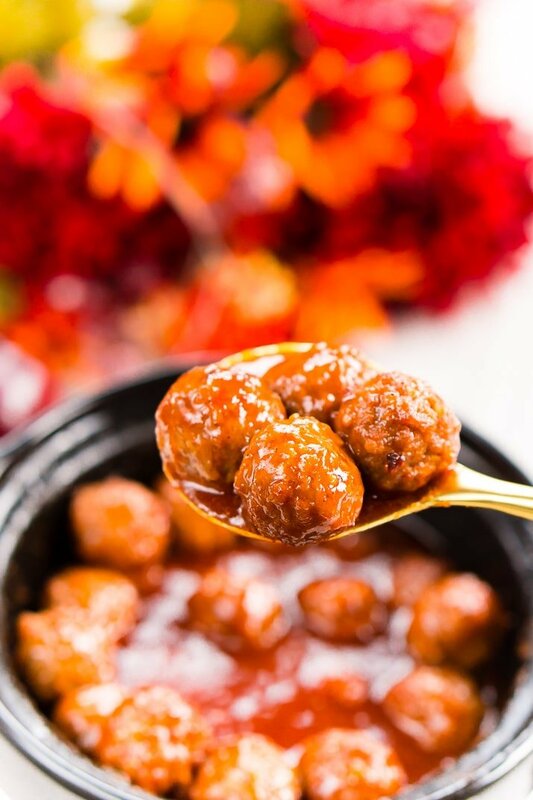 These meatballs combine the sweetness of apples and spicy chili sauce with a hint of cinnamon and garlic for a party appetizer that hits the spot! 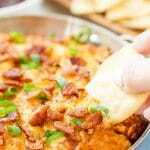 Crock Pot – This recipe is made in the crock pot and will fit in a 2-quart or larger. I love the smaller ones because they take up less space on the counter at parties. 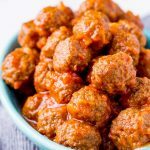 Meatballs – Make sure the meatballs you use are small Swedish or Italian meatballs, nothing too big since you want them to be bite-sized. 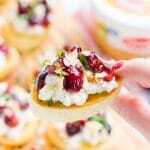 Toothpicks – I love having larger toothpicks or cocktail picks out at parties for easy snacking. 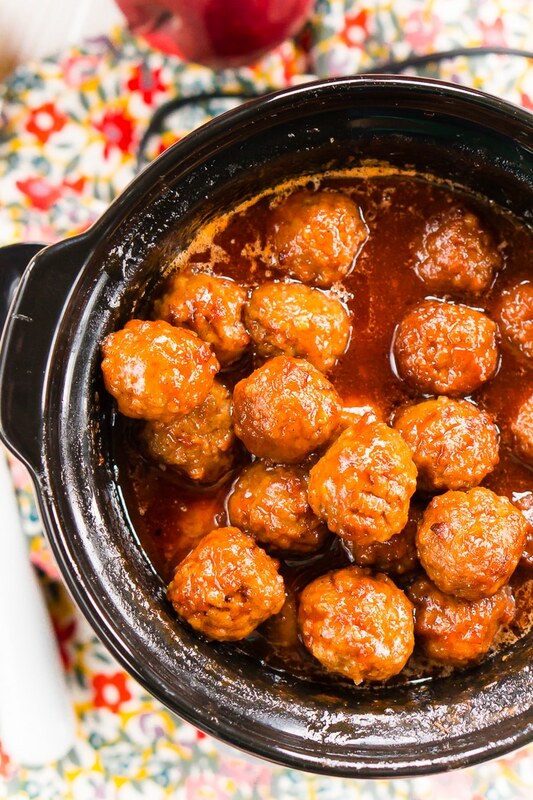 Add chili sauce and jelly to a crock pot. Add the cider or water to the chili sauce jar, replace lid and shake to get any remaining sauce and pour into the crockpot. Add in apple pie spice and garlic powder and stir together to evenly coat. 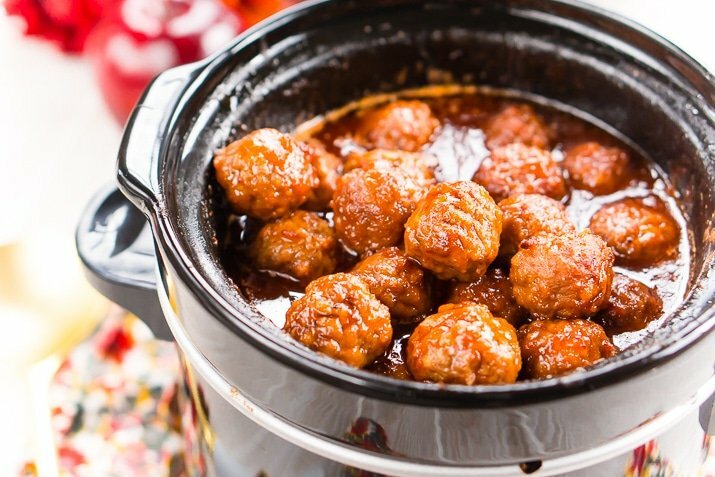 Cook on high for 2 hours or until meatballs are tender and hot throughout, turn heat to low to keep warm during servings. Stir occasionally. 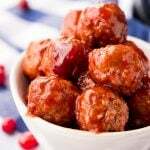 Hey Rebecca, thanks for sharing this tasty cocktail meatballs recipe! I am gonna try this! Is there any nutrition chart? Oh yum! 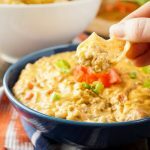 I love that you’ve brought fall flavors into something savory! 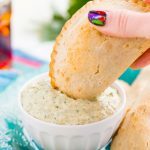 I can’t wait for fall foods!